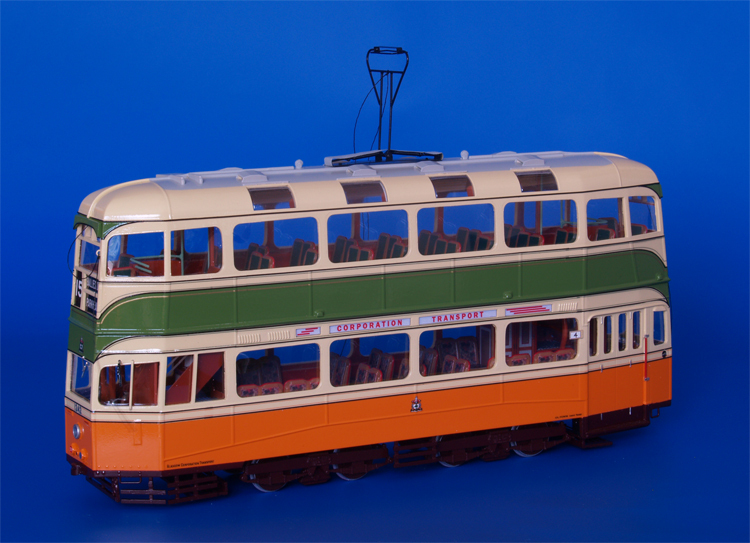 Model 1937/40 glasgow corporation transport coronation tram (1143-1292 series) - post'1952 livery. 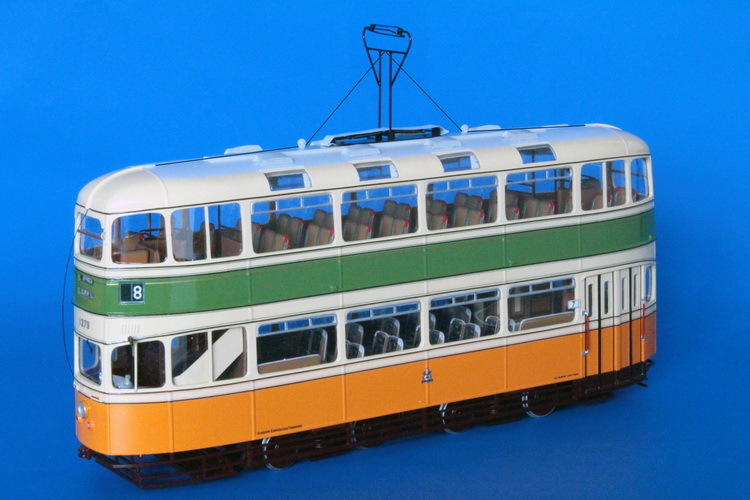 1937/40 Glasgow Corporation Transport Coronation Tram (1143-1292 series) - post'1952 livery. 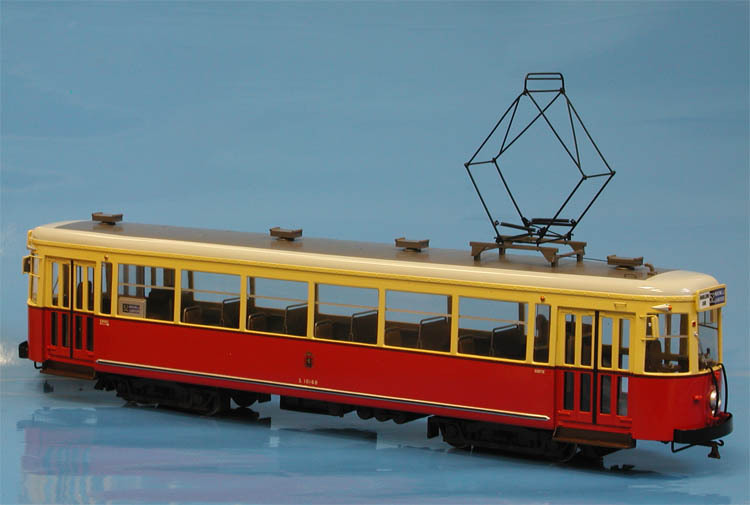 Starting from early 1950s, the Coronation class saw additional modifications. 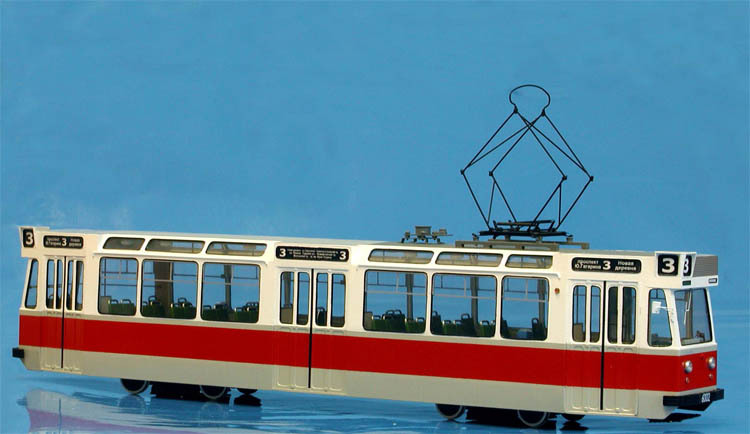 The half-drop driver's windows were replaced with single fixed pane of glass and visors above the cabins were removed and ventilation ducts were replaced with plain panelling. As a result of the reostats overheating, a duct was provided to an additional ventilation grille. The grab rail for mirror adjustment was also installed. 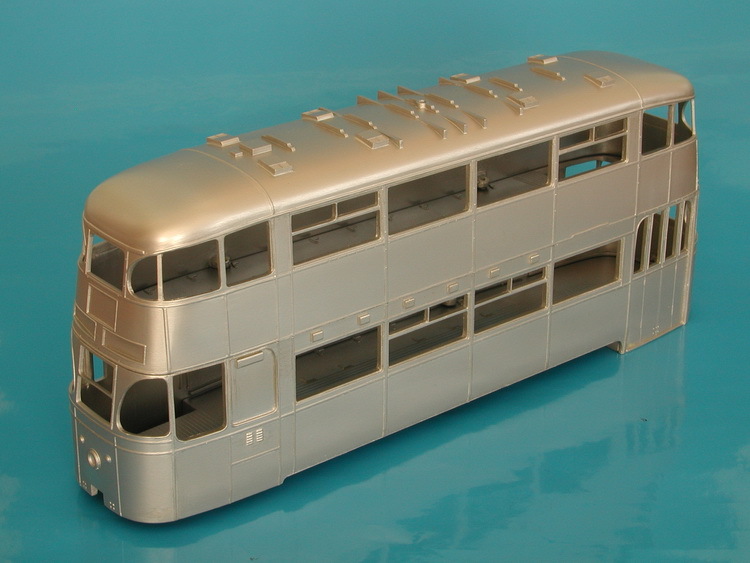 The internal cabin doors were removed and interior on several Coronation cars were re-fitted in the style of the Mark II cars. Four Coronation cars survived after closure of the Glasgow system, car 1173 was preserved at Glasgow Museum of Transport (restored to 1938 condition), car 1245 at East Anglia Transport Museum (awaiting restoration), car 1274 at Seashore Trolley Museum (restored to post-1957 condition) and car 1282 at National Tramway Museum at Crich (restored to 1952/53 condition). 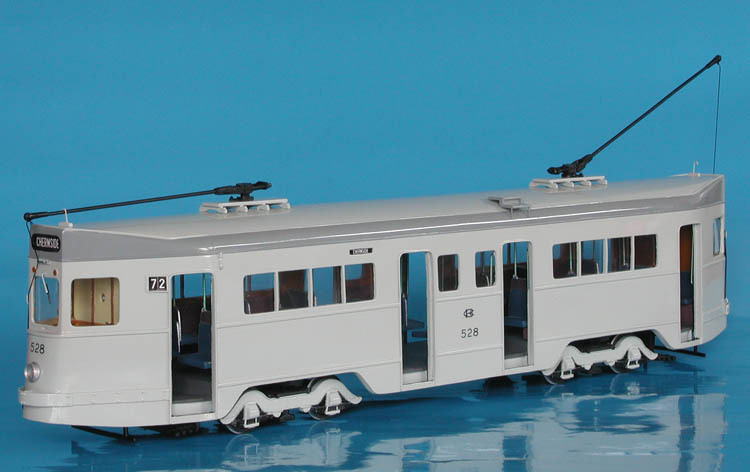 1948/52 Glasgow Corporation Transport Cunarder Tram (1293-1300 series) - original livery. 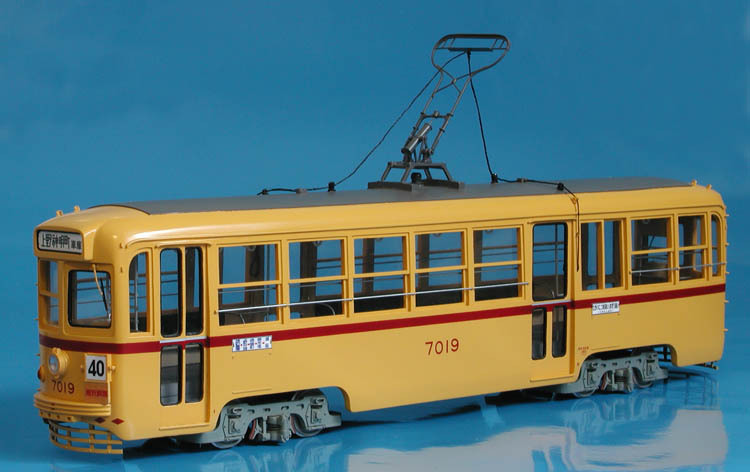 1968/75 Leningrad LM-68 "Aquarium" PCC (6000-series) - original livery.